The best deal in Silo Point! Breathtaking unobstructed water views from the master bedroom suite. Industrial style open concept living with fresh neutral paint, wood flooring throughout the main level and master bedroom level, new carpeting throughout the second level bedroom and home office/den. Living and dining rooms walk out the spacious courtyard area with plenty of room to do your own outdoor entertaining. Master bedroom suite occupies the entire third floor with a private partially covered balcony overlooking the Patapsco River and Key Bridge. The master bathroom has been remodeled to accommodate a huge double head shower with custom glass doors, double vanity and dressing area. Linen closet and walk-in closet with professionally designed organizers finish off this luxury suite! The second level offers a spacious bedroom suite with ensuite bathroom and two closets, a large home office/den, laundry room and extra storage room.The Sky Town's on the 10th floor offer a unique living experience owning a townhome on the 10th floor with sweeping views of Baltimore! The air shows are amazing from your own "backyard!" 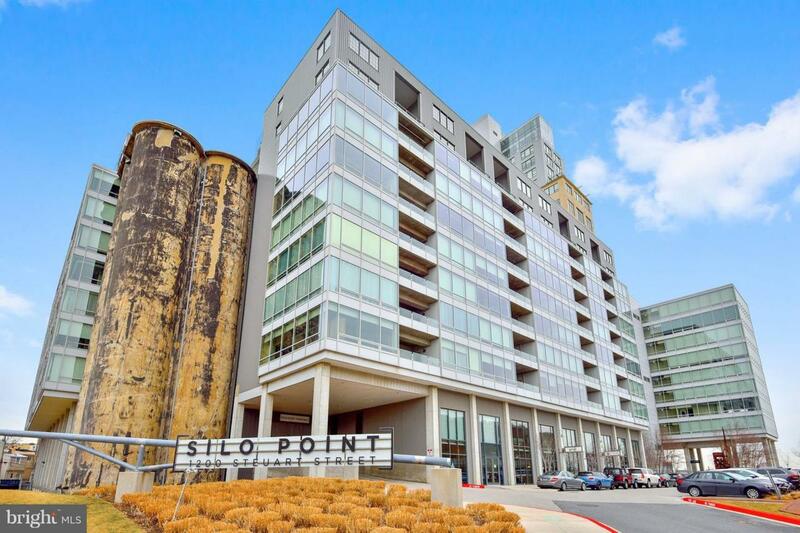 Silo Point is a full service luxury building with 24 hour front desk, state of the art fitness facility, sky lounge on the 19th floor, game and conference rooms and courtyard. The building is pet friendly, and has secured gated access to all garage parking. Walk to Fort McHenry and water taxi through the harbor! Perfection in and out!